Eric is a former U.S. Navy SEAL and decorated veteran of the Global War on Terror. Eric has been recognized as one of the premier sniper instructors in the U.S. military and has served as a Master Training Specialist at the SEAL sniper school in Coronado, CA. He is an expert of technical and physical surveillance and was part of an elite group hand-selected to perform intelligence collection in denied areas around the world. Eric has spent five years developing, and executing curriculum for the Navy SEAL sniper school. Eric began to master his writing in the SEAL teams by designing, writing and producing numerous final training exercise scenarios, which include scripting of role playing, simulating real-world combat situations, and providing realistic training for SEAL snipers. 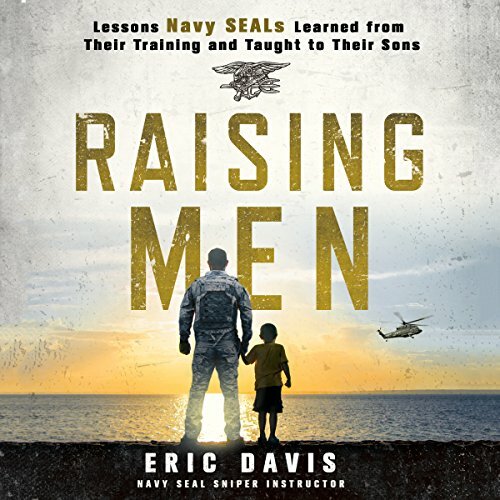 In 2008 Eric gave up his career as a Navy SEAL to spend more time with his children and pursue his passion for human performance and writing. Eric is now the founder and CEO of averagefrog.com, a membership website repurposing the proven performance principles of the SEAL teams helping people to live a good life and lead others to do the same. Eric is also a featured writer on sofrep.com/ navyseals.com / specialoperations.com and theloadoutroom where he shares his uniqe perspectives on being "Preparred for adventure". Eric lives in California with his wife, and is a dedicated and loving father to four wonderful and successful children. Eric is extremely involved in his children's lives, regularly hiking, surfing, climbing, and backpacking and much more with them. He is enthusiastic about being active with his children and converting those experiences into valuable life lessons that he wants to share with others through his book. Besides being a father and writer, Eric also volunteers his time with non-profit organizations. Eric has traveled to Sri Lanka to open a children's center, and has recently returned from Ethiopia where he was scouting out potential children centers for his family's foundation to support. Since departing from the SEAL teams, Eric has worked in corporate training and sales bringing an unprecedented amount of innovation, efficiency and structure to the domain of business and performance. Eric is well versed in Strategy, Performance, Leadership and Team Building. Eric is able to apply these concepts to small and large organizations. Eric spends his time traveling around the globe to research, design, build and deliver highly effective projects and strategies supporting Average Frog's members in their commitment to living a good life.